A Junghans pocket watch, which Dieter Rinow from Cologne inherited from his grandfather, triggered his passion for watches. Today, Dieter Rinow delivers insight into his collection of old pocket watches from all over the world on his website BODIEZ. For pocket watch enthusiasts, the abundant photos of many exceptional time devices are a pure pleasure. Hans Peter Kuban has an unusual passion. His hobby, or better his passion is church clocks. In his private church clock magazine founded in 1981, time seems to have stopped. On two floors, Hans Peter Kuban presents several dozens of old treasures in the former Steinhaldenfelder Bunker. Paul’s watch website is a true treasure trove for mechanical watch enthusiasts. Here the watch collector can find diverse information on wristwatches, pocket watches, clocks and more. The section “buyer beware“is of special interest to every watch fan. Here you can find very useful illustrations concerning imitations and marriages. 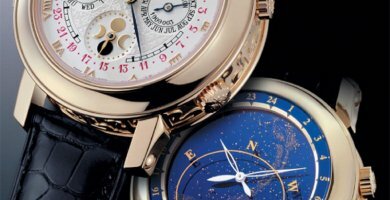 This watch website has just as little in common with a “standard” watch homepage as a quartz watch has with a mechanical Tourbillon. On his website, Steffen Pahlow from Bad Nauheim offers exceptional insights into his passion – the Tourbillon. The design is out of the ordinary, and at first glance, the menu navigation is not very logical. The reader needs time to figure out how the menu works. The Bamford & Sons website is a real insider tip for every Rolex enthusiast who wants to have his Rolex tailored to his desired specifications! You can custom-build your personal dream watch with an online configuration service, which is usually rather to be found on websites of automobile manufacturers, such as Audi, BMW, Mercedes, Porsche and Volkswagen. 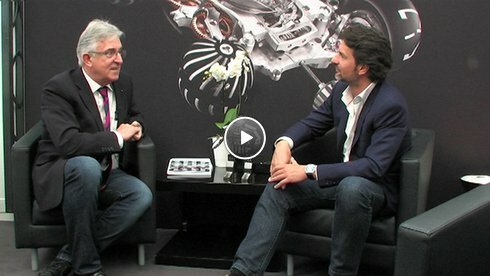 With "Oysterworld", Johannes Knoebel from Heppenheim runs one of the most informative private websites about Rolex watches in German and English. Here, an avid Rolex enthusiast with much commitment has made his comprehensive knowledge available for free to a large audience. Jean-Michel’s private website is a true treasure trove for those who love the Breitling Navitimer. This French website highlights all aspects of this popular pilot’s watch in detail. Beside comprehensive information on the history of the watch, you can find many pictures of all editions, instructions and all technical specifications. It is the inner workings of a watch that makes the watch enthusiast's heart beat faster. If you are fascinated with the precision and finesse of a mechanical movement, then Antonios Vassiliadis’ website is definitely worth a visit. Antonios Vassiliadis gives unique insight into many exceptional movements and shows beautiful pictures of these highly complex and miniaturized technical worlds. Breitling World Time brings the world time to your desktop. 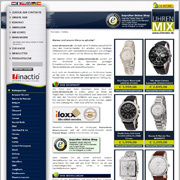 Moreover, the freeware of the famous watch manufacturer converts numerous measurement units. If you enter your location into the Breitling World Time computing instrument, the software displays time and the time of sunset and sunrise. Everyone who is interested in Breitling watches is spoilt for choice given the multitude of the models and possible combinations. On the Japanese Breitling website, fans of the brand can now try out every combination available in that country and find out the corresponding reference number and the current selling price. His hobby: pocket watches. His profession: software engineer. His name: Dr. Andreas Schröter. There are many private websites about watches, but only few show expert knowledge and acknowledged expertise. Dr. Schröter apparently has both. He presents the subject of pocket watches with an expertise shared by only a very few specialists. And those who are also interested in razors and old handwritings can learn more about these topics on his website as well. With the support of renowned brands, such as Patek Philippe and Panerai, zVisuel developed sixteen animations of the mechanical watchmaking. Informative texts shed light on the course of the development of the watch making art. 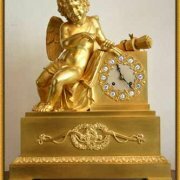 On Werner Schmid’s website, one can find unique information on attendance recorders and watchman's clocks, a quite unusual area of expertise that is still rather neglected in the watch literature. Werner Schmid was one of the few acknowledged experts in his field. 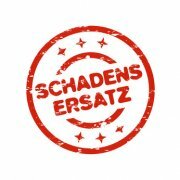 Werner Schmid’s passion for time recording and watchman’s clocks is expressed in numerous unique articles. The classification of time recorders and the timetable are equally exceptional. He is THE expert when it comes to diver’s watches. On his extensive website www.rruegger.ch, Roger Rüegger gives a unique overview of diver’s watches. The extensive and very interesting test reports are obligatory reading for connoisseurs! Many of his photographs connected with texts, which are objectively sound and based on facts convey a very good impression of the tested watches. He is one of the international experts when it comes to German military watches: Konrad Knirim. It is hard to describe the enthusiasm and commitment of the Mechanical Engineer from Düsseldorf, who holds a doctorate degree in physics, for this subject. Apparently, military watches exert an incomparable fascination upon him.